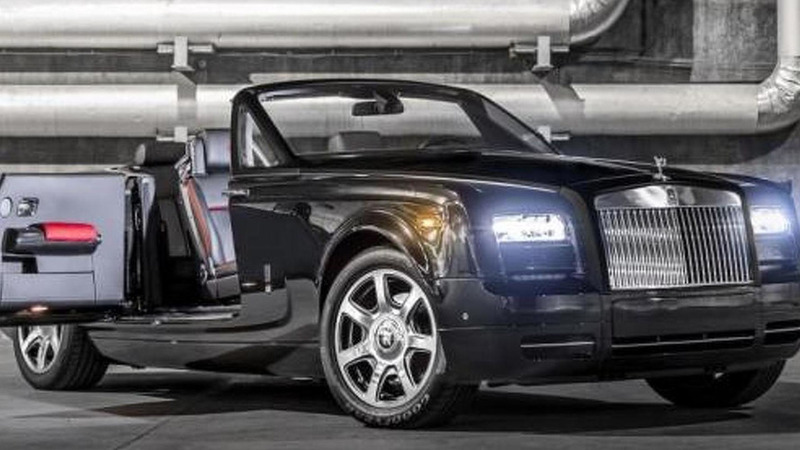 Rolls-Royce has announced a limited-run Phantom Drophead Coupe Nighthawk set to be sold exclusively in North America. Designed for those very few people for which a standard Phantom Drophead Coupe just doesn't cut it, Rolls-Royce through its bespoke division has launched a Nighthawk special edition limited to just nine cars which will be sharing a carbon fiber treatment. The material has been installed on the door panels, dashboard and steering wheel spokes while the cabin gets a two-tone theme with Hotspur Red and black leather along with carbon instrument dials. All cars will feature adaptive LED headlights and a Diamond Black Metallic paint with a matte finish on the long and elegant hood. Underneath resides the familiar 6.75-liter V12 engine with 453 bhp (338 kW) and 719 Nm (531 lb-ft) of torque, enough for a sprint to 60 mph (96 km/h) in 5.6 seconds and a 150 mph (241 km/h) top speed.